Painter Sherri Wolfgang, of Westport, will present two complete series of works at the “Sherri Wolfgang: SOLO” show at Housatonic Museum of Art through July 31. Two complete series of figurative works — exploring youth, beauty, strength and the aging of the human body — by Westport’s Sherri Wolfgang will be on view at the Housatonic Museum of Art, in Bridgeport, through July. “Sherri Wolfgang: SOLO” features “NICK.E.LO.DE.ON (2014-2017),” which explores dance and the figure in motion and “Twisted (2012-2014)” that focuses on women and plastic surgery. In addition, a “sneak preview” of her newest series, “American Pathos” begun in 2017, will explore the effects of “the Great Recession and the disintegration of the American Dream on young people age 18-29, commonly referred to as millennials,” the museum has noted. She has a bachelor of fine arts degree from Carnegie Mellon University and did graduate studies at New York University. 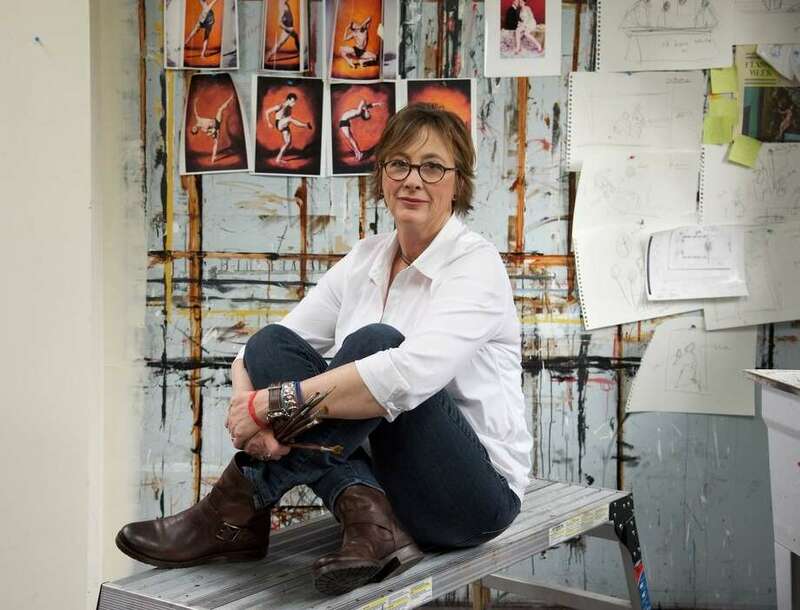 As a professional illustrator, she has received numerous awards for her covers for the New York Times magazine, Worth, Time, Barrons, Forbes, Business Week and Der Spiegel. Housatonic Museum of Art at Housatonic Community College, use State Street entrance, downtown Bridgeport. Free. For hours: 203-332-5052.